One of the most difficult parts of planning a vacation to the Universal Orlando theme parks is deciding what time of year to visit. Depending on your travel party size and the ages of the individual members, you may need to plan your trip around your school, work, or sports commitments. While many families find that the summer is an ideal time to visit Universal Orlando, the parks will be crowded and the Florida heat will be at its year-round high. If your schedule demands it, there are some benefits to visiting during the high season, including extended park hours and extra events. If your schedule is flexible, consider visiting Universal Orlando Resort during the offseason in the fall and winter. As long as you avoid Universal's Spring Break in March and big holiday weeks like Halloween and Christmas, you will be able to experience more of the parks' offerings with minimal waiting times. Need more help deciding which month is the best for your trip? Click through the individual months listed below for detailed information about crowds, weather, events, and more. You'll be able to get a good idea of the right time for your visit by looking at some of the positives and the negatives each month brings to Universal Orlando. January starts with the New Year's Eve Into Day Party (21+), but otherwise, the month is relatively quiet in terms of special events. It's also one of the coldest times to visit the park but shorter lines and lower costs make this month ideal for offseason travel. February brings the official start to Mardi Gras celebrations to Universal Orlando Theme Parks, with the official kick-off celebration on February 3, 2018. Be sure to check out the Universal Orlando Mardi Gras schedule for a complete list of events. March continues the Mardi Gras celebrations but also welcomes Saint Patrick's Day events and the Spring Break crowds. Although this might be an ideal time to visit for your kids' schedule, expect longer lines and higher prices during this mini tourist season. April is the month when Universal Orlando celebrates graduating high school seniors with weekly Grad Bash nights. Some attractions will close early for this, and some schools' Spring Breaks are still happening in the early part of the month, so be sure to check special hours during April. May brings slightly warmer weather but maintains fewer crowds while schools are still in session. Memorial Day weekend if the official start of summer festivities at the parks, though, so if you visit in the late part of the month, expect long lines. June is the start of the busy summer tourist season and the kick-off of the free concert series in the parks. Prices and crowds are at their highest in June, July, and August, but it also works well into summer vacation schedules for kids. July is equally crowded but also features the festive Fourth of July celebrations at many of Universal Orlando's parks. August is the last chance to catch summer fun at Universal Orlando, but there aren't that many scheduled events during the month. It's also the hottest time to visit, but the lines are still long at most of the parks despite the heat. September sees the first break in crowd sizes and the lowest prices of the year at the park's resort hotels. Universal Orlando and Disney World both offer discount tickets for this month as most kids have returned to school. October is relatively slow in terms of crowds for the first half of the month, but Halloween brings revelers from around the world to celebrate a weeklong series of spooky events called Halloween Horror Nights (appropriate for the whole family). November is warm and sunny in the day and colder in the evenings, but relatively dry all month long, making it one of the best times of the fall to take advantage of shorter lines and lower prices at the parks. December's big event is Grinchmas, which runs most of the month and sees the parks redecorated in Christmas cheer courtesy of the Grinch. Many families vacation during the later part of the month during winter break, so expect higher prices and longer lines after December 15. Of course, no matter what time of year you decide to visit, you never have to worry about accommodations. 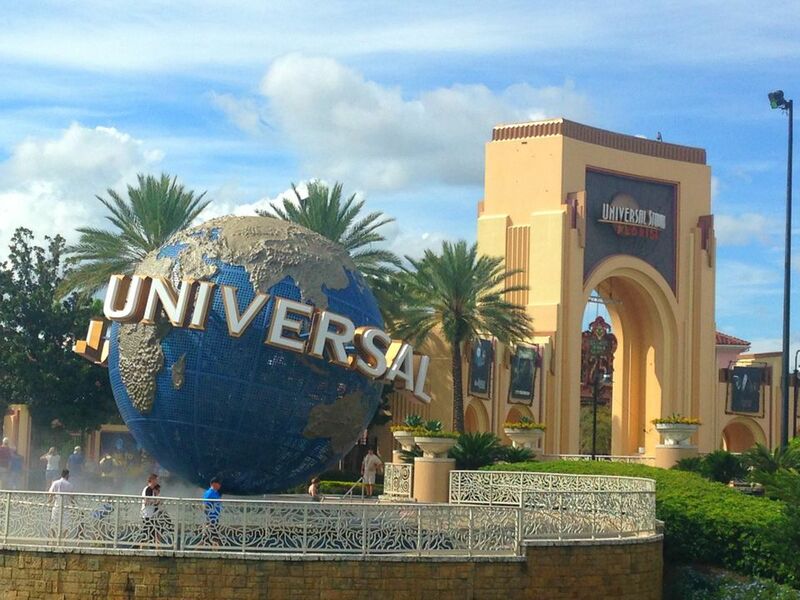 Universal Orlando Resort has rooms available for every budget within their five onsite resort hotels—Universal's Hard Rock Hotel, Universal's Portofino Bay Hotel, Universal's Royal Pacific Resort, Universal's Cabana Bay Beach Resort and Universal's Sapphire Falls Resort—where you will always qualify for exclusive benefits and resort perks. If your only option is to visit during high season, beat the crowds with a Universal Orlando Express Pass that will allow you to bypass the regular long lines. If you are staying at an on-site Universal Orlando Resort hotel, the pass is included. If not, expect to shell out an additional $30 to $90, depending on the day of the week and time of the year. If you're visiting Universal Orlando during the summer, keep your cool by following these tips for beating the Florida heat.